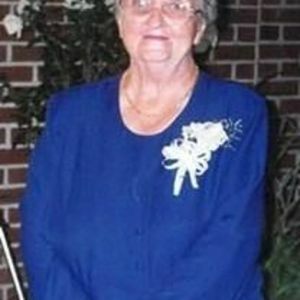 Mrs. Marjorie Taylor Harris, age 84 of Nashville, NC, passed away at her residence on March 3, 2015. She is preceded in death by her husband Hank Harris, parents G A Taylor and Etta Bone Taylor. She is survived by her two sons Joe Dalton Evans of Nashville and Ervin Evans of Zebulon, daughter Lois Hill of Nashville, 6 grandchildren and 17 great grandchildren. A graveside service will be held Saturday, March 7, 2015, at 11AM in Forrest Hills Cemetery in Nashville. The family will receive friends Friday night from 7 PM until 9 PM at Johnson Funerals and Cremations, 661 English Road, Rocky Mount.